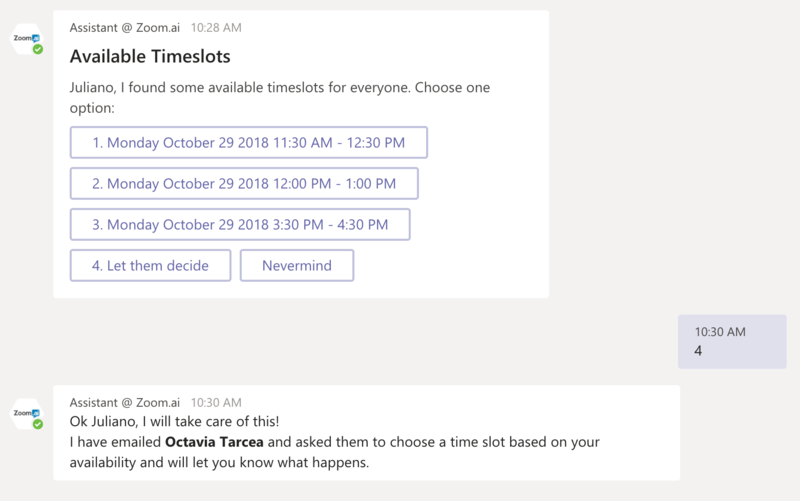 If both invitee and attendees are Zoom.ai users, the person requesting the meeting is always able to select a time right away. But you can also let them pick times that work best for them. All you have to do is select " Let them decide" during your initial request.